is an international human rights attorney, a mindfulness and creativity teacher, an author, a TEDx speaker, a Huffington Post writer, a former competitive athlete, a social entrepreneur, and the Founder and CEO of Malena. 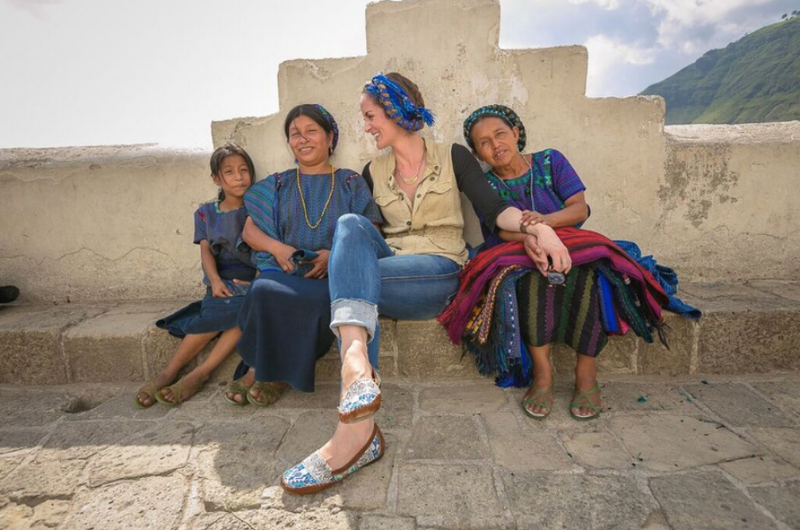 Malena is a global community that connects people around the world through the goods they create. It was founded on the idea that the most effective way to solve the problems of poverty and inequality are to provide opportunity – everyone has a story to tell and a voice that deserves to be heard. Flynn’s core belief that everyone is equally and intrinsically valuable is the common thread that runs through everything that she does, from her work in economic empowerment to her teaching of innovative approaches to education. She is an avowed Francophile, has a passion for books that extends to Japanese book binding, and can often be found on adventures that take her around the world. The three words that best describe me are… Adventure. Passion. Curiosity. How did your former career prepare you for running your own business? My life’s work revolves around my belief that we all deserve to have our basic human rights protected, and to have a life of dignity, freedom, and agency. I have seen that can we can truly best support people when we can facilitate their own agency, creativity, and autonomy, so that they can invest in themselves and their local communities. That may mean advocating for trade policy changes, breaking down barriers for entrepreneurs in the developing world, creating more transparent supply chains, using technology to empower people, upholding an artistic tradition passed down from generations, or bringing local goods to new markets so that community members can better afford healthcare and education for their children, so those children can go on to choose among yet more opportunities. My business is a reflection of what I believe in and the values I want to live in the world, and I strive to make all of my decisions in alignment with these core beliefs. What was the biggest obstacle that you had to overcome before launching your business? Self-doubt and wondering how to possibly help all the people we would like to help. How long were you in business before you started to see real growth? What do you attribute that to? We have recently launched Malena, and I would say that our growth to date is attributed to the hard work of wonderful people and allies around the world! Describe a day in your life. How do you organize your day to best optimize your time? A typical day can truly vary, depending on travel and meetings, and a million other things along the way! I always try to make time for yoga, soccer, hiking, dancing, and moments of mindfulness along the way. I use a mix of apps and pen and paper to keep track of things, and I’m a big fan of spontaneous song and dance party breaks. I try to make time for writing and reflection, and time to restore and rejuvenate after particularly hectic days or weeks! Lately I’m inspired by… Books by incredibly inspiring and badass women. In the last couple of weeks I’ve read Amy Poehler’s book, both of Mindy Kaling’s books, Drew Barrymore’s book, Lynsey Addario’s book, and I’ve re-read Tina Fey’s book. I’m always inspired by people and their stories of courage, resilience, and bravery. If I weren’t doing what I do, I would be… Studying French literature, physics, and rock climbing. A teacher or boss who influenced me is… Brené Brown and her work are a huge influence on my life and work, and I strive to embody what she writes and speaks about, to be courageous and vulnerable, authentic, loving, and honest as much as I can. Five years from now I see myself and my company… Working hard to support empowerment, education, human rights, social justice, and positive social impact for people and communities worldwide!